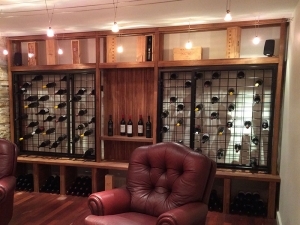 Connoisseur Wine Racks are designed for serious wine collectors. 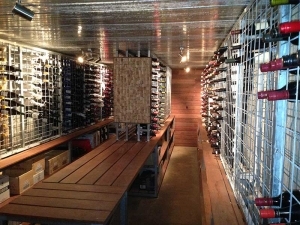 This rack will accommodate 216 bottles (18 dozen). 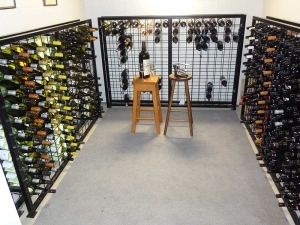 If this rack does not suit your situation - click here to find one that will. 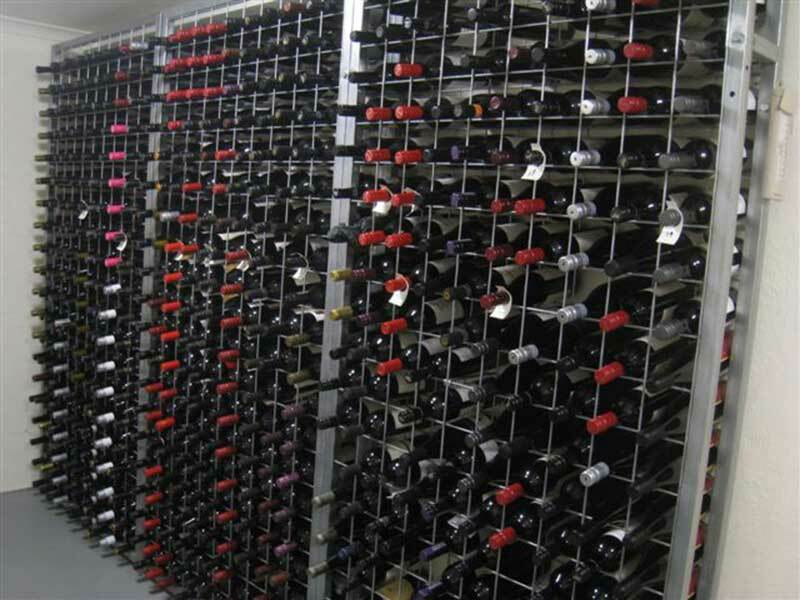 Connoisseur racks are extremely strong and can handle the harshest of environments. They can be bolted together "side by side" or "back to back". 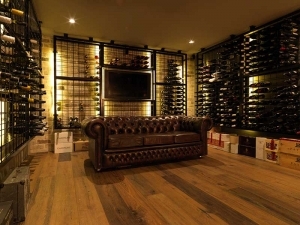 If your cellar has a very high ceiling - they can even be bolted on top of one another. Should none of our standard size racks suit you, we can manufacture them to your specific size. 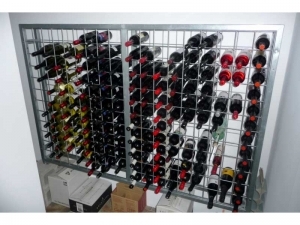 Connoisseur wine racks are manufactured using galvanised steel tube (32mm square) and galvanised mesh (5mm wire on a 100mm grid). Standard racks are supplied with this "silver" finish. 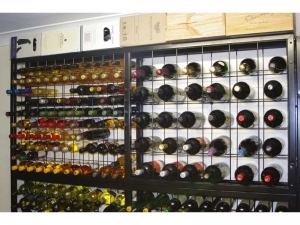 12 high x 18 wide Connoisseur Wine Racks are 130cm in height and 191cm in width. 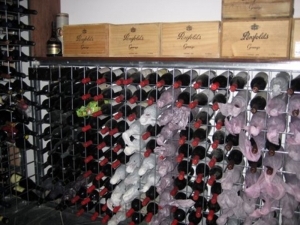 A depth of 32cm is usually allowed for the bottles and clearance to the wall behind. Custom Size racks are smaller than these dimensions eg 11 high x 17 wide - 120cm x 181cm. For a complete listing of custom rack sizing please click here. 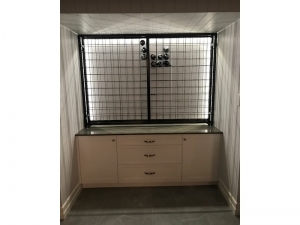 Many of our customers order their racks with powder coating (over the galvanising) - especially if they are installing them in living or dining areas. Satin Black is the standard powder coating colour - other colours are available (the additional price can be quoted on application). 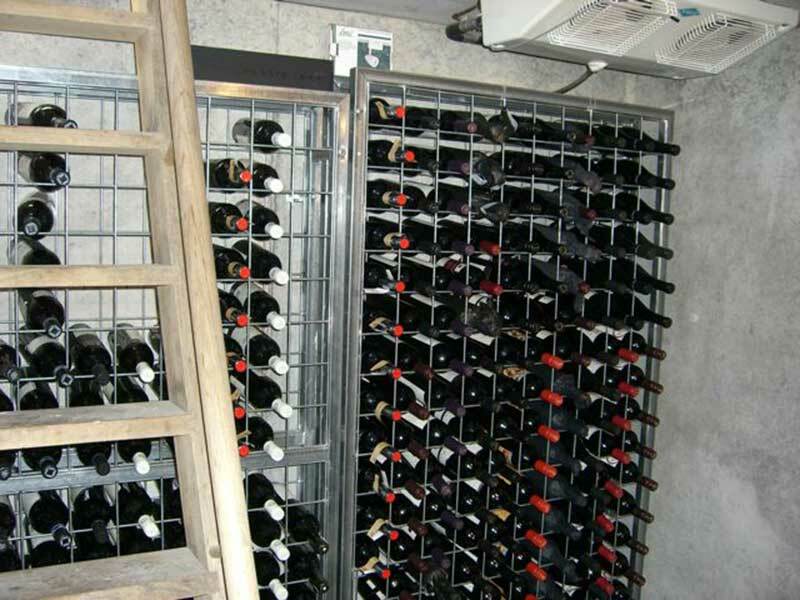 These racks will accommodate normal wine and champagne bottles (bottles with diameters up to 94mm). 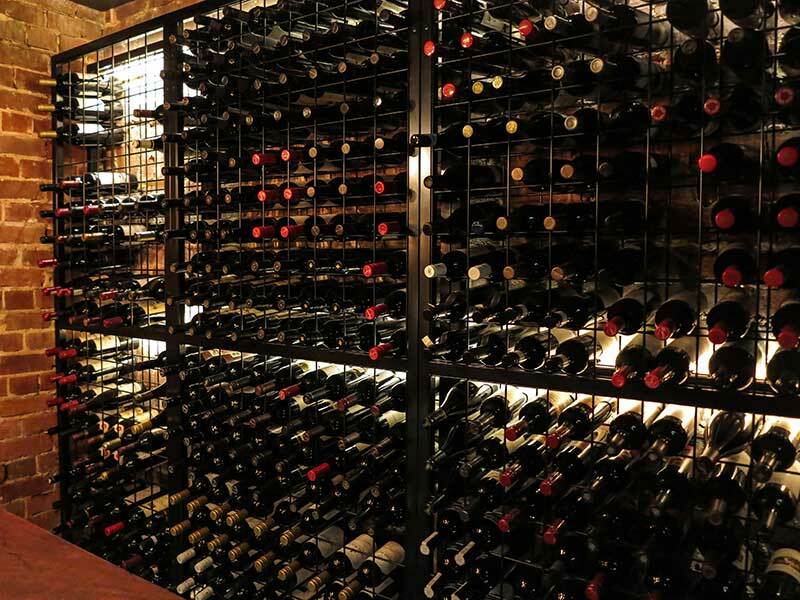 Magnum wine racks are available for larger bottles. 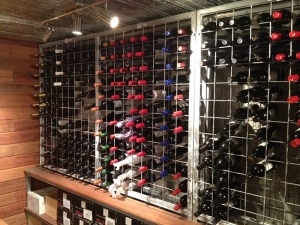 Connoisseur wine racks consist of two steel frames with mesh welded within, 4 frame joiners and 2 wall brackets. They are supplied complete with all necessary hardware and comprehensive installation instructions. 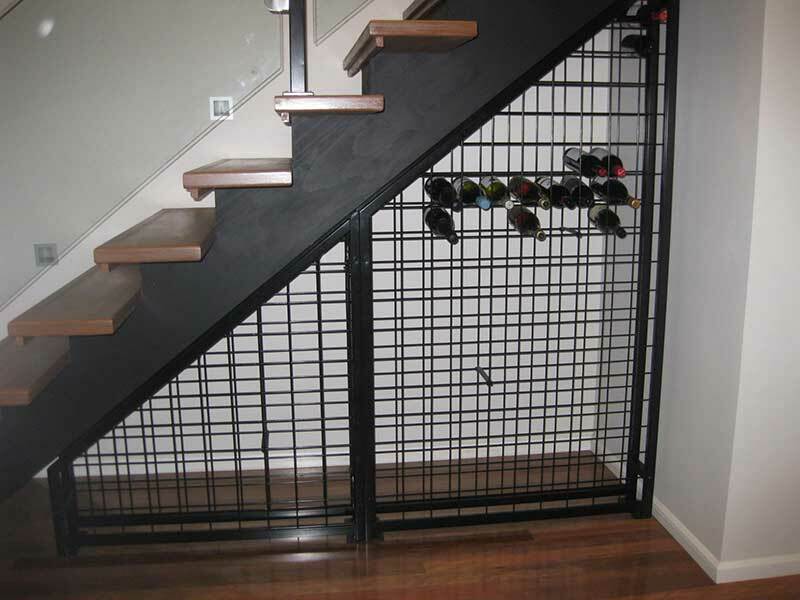 Racks are simply bolted together (10 bolts) and then fixed to your floor and wall. The racks have holes enabling them to be bolted together side by side. Racks can also be supplied with joiners allowing them to be located "back to back". Connoisseur Racks are shipped "Flat Packed". They are completely enclosed by timber packing to prevent damage during transit.